LAMP is short for Linux, Apache, MySQL, PHP. 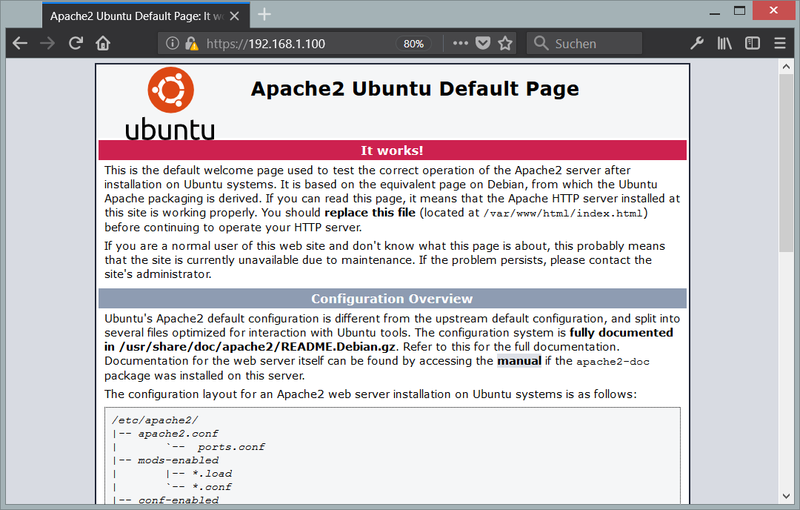 This tutorial shows how you can install an Apache web server on an Ubuntu 18.04 LTS (Bionic Beaver) server with PHP 7.2 (mod_php) and MySQL / MariaDB support and how to setup an SSL certificate with Let's encrypt. 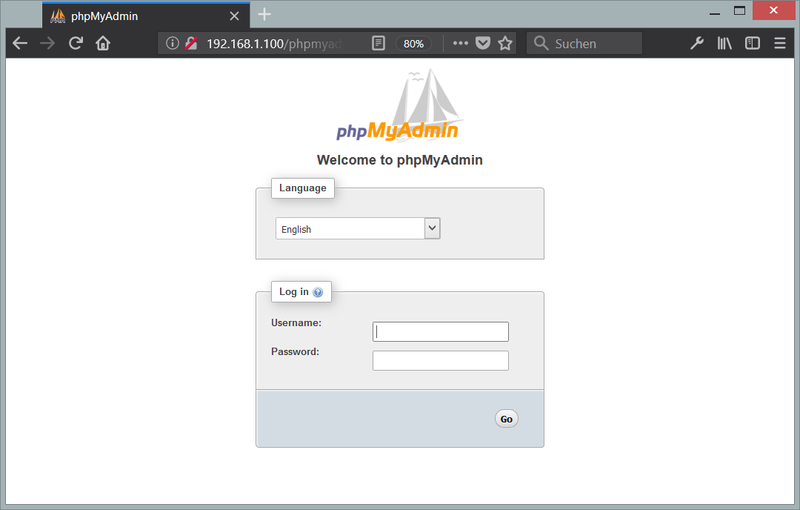 Additionally, I will install PHPMyAdmin to make MySQL administration easier. A LAMP setup is a perfect basis for popular CMS systems like Joomla, Wordpress or Drupal. 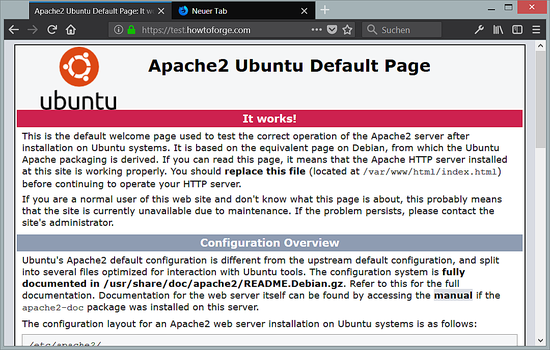 I recommend to use a minimal Ubuntu server setup as basis for the tutorial, that can be a virtual- or root server image with an Ubuntu 18.04 minimal install from a web hosting company or you use our minimal server tutorial to install a server from scratch. 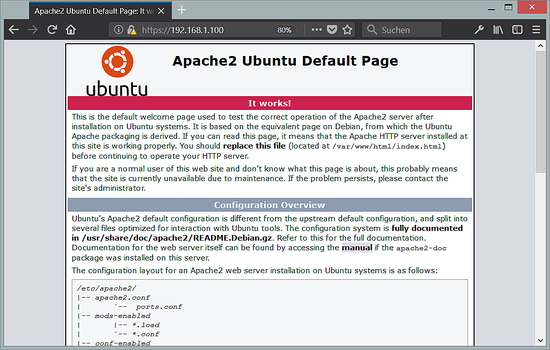 The packages mysql-server and mysql-client are so-called 'meta-packages', they install always the latest MySQL version that is available from Ubuntu. The latest version is currently MySQL 5.7. To leave the MySQL/MariaDB shell, enter the command "quit" and press enter. As you see, PHP 7.2 is working, and it's working through the Apache 2.0 Handler, as shown in the Server API line. If you scroll further down, you will see all modules that are already enabled in PHP. 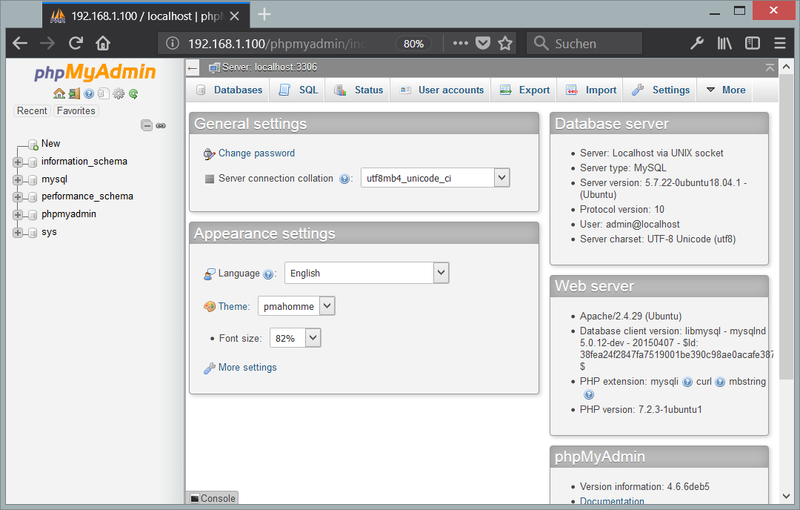 MySQL is not listed there which means we don't have MySQL / MariaDB support in PHP yet. as not all PHP packages have the version number 7.2 in their name. 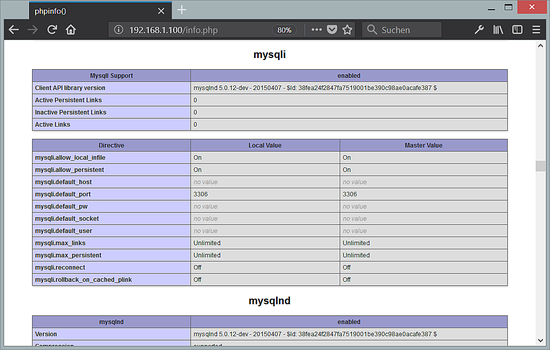 PHP 7.2 has now MySQL / MariaDB support as shown in phpinfo() above. 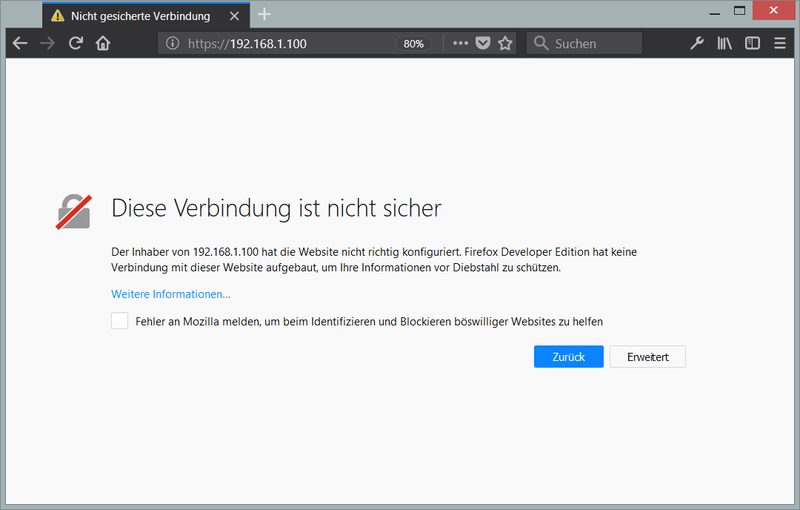 The closed "Green Padlock" in front of the URL in the browser shows that the connection is encrypted. In the next step, we will request an SSL cert from Let's Encrypt by using the certbot client program, during this process, the Let's Encrypt server tries to connect to your server through the domain name that you provide to the certbot command. 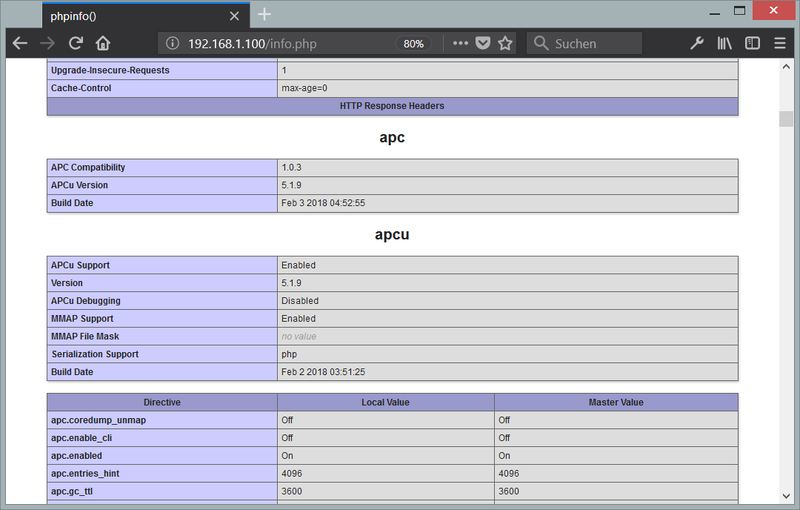 It is important that this domain name points to your server in DNS already so that the website is reachable by its domain name on port 80 (http) already. If the website is not reachable from the internet, then the creation of the Let's Encrypt SSL certificate will fail. Certbot will ask you now if you like to share your email address with the Electronic Frontier Foundation. Choose here whatever you prefer. Then choose if you want to redirect non-SSL requests to https:// automatically. I'll select yes here to avoid duplicate content problems when the website is available as http:// and https:// version. 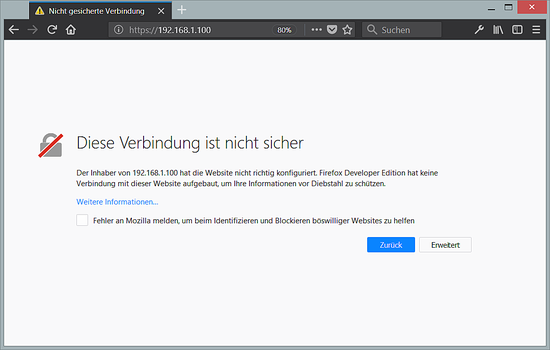 When you access the website now with a browser, you will get redirected automatically to SSL and the green padlock in front of the URL bar in the browser shows that we are using a trusted SSL certificate now. Let's Encrypt SSL certificates are valid for a short period of 80 days only. Therefore a cronjob to auto-renew the SSL certificates is necessary that runs the certbot --renew command. IMPORTANT: The apt installer will ask you several questions now, one of them is to select the web server type. 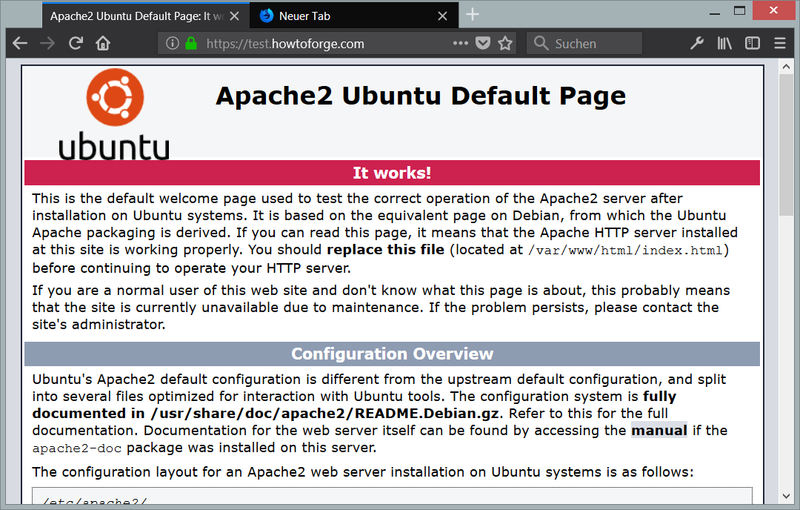 A common mistake is that the web server type is just highlighted but not selected. To select an item in an apt menu you have to press the space bar on the keyboard after you navigated to the item with tab or cursor keys. Just highlighting it is not enough! 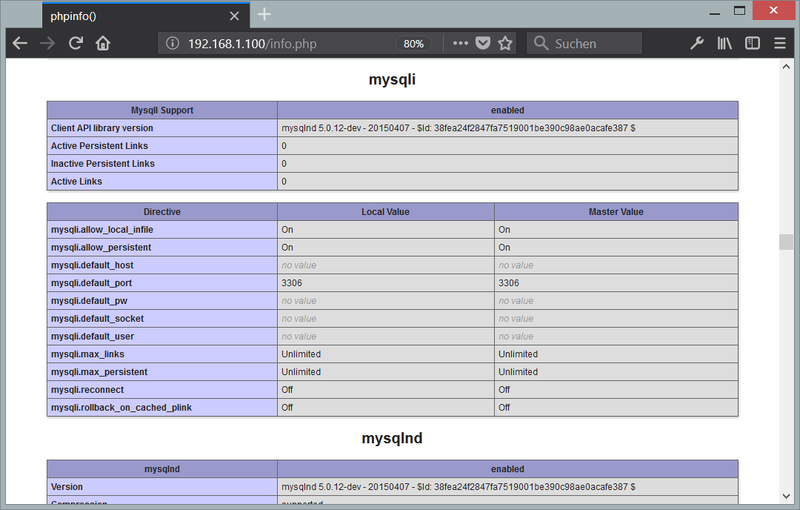 MariaDB and MySQL enable a plugin called "unix_socket" for the root user by default, this plugin prevents that the root user can log into PHPMyAdmin and that TCP connections to MySQL are working for the root user. To get a user with privileges to create other users and databases in PHPMyAdmin, I will create a new MySQL user with the name "admin" with the same privileges than the root user. Maybe it was already installed or your server is using other non-standard apt settings which hide that dialog. 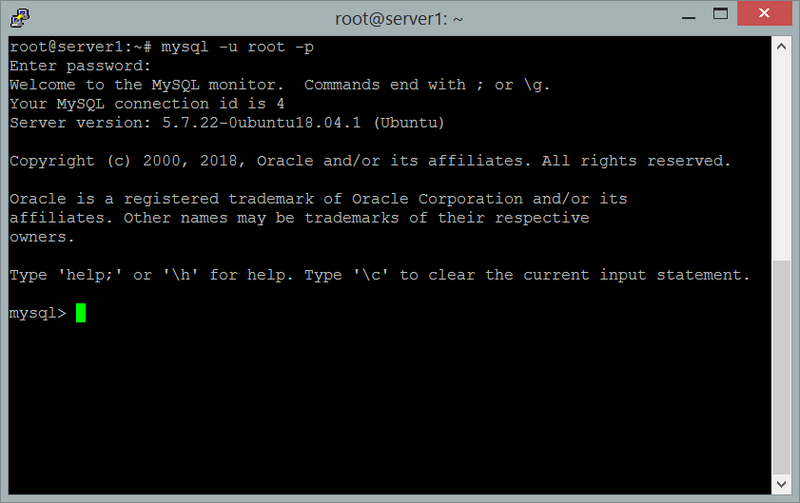 Try to use the mysql_secure_installation command to set a password and enter no password when it asks for the old password. How can i disable mysql on ubuntu 18.04? The only bit I could not get working was the SSL, but as this is only on my local laptop for dev purposes, I'm not too worried - although I will try again, just for completeness! Let's encrypt requires it that the domain that you like to get the SSL cert for exists in DNS and is publicly reachable. That's probably not the case on a dev system on your laptop. But you should be able to use a self-signed SSL cert as described in chapter 7, just leave out chapter 8 on your local dev system. where is the Virtual machine image you are mintiend how i could download it ?? See big red download icon in the menu on the right side of the page, below that icon you can find the download link. Thanks my brother! I am from Brazil. nothing find in portuguese for help me. Great tutorial, super useful and very tight. Thank you! Thank you Mr. Brehm. I always were forgetting some of the steps in this process of installation. Now, I can rely on this post and easily set up the server. Added to my bookmarks! Great tutorial and easy to follow. 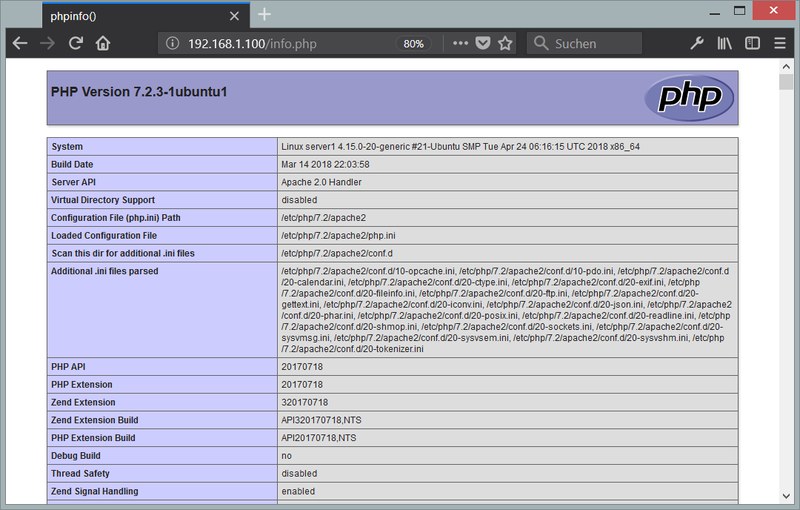 Ubuntu 18.04 (LTS) LAMP server tutorial with Apache, PHP 7.2, and MySQL as ready to use virtual machine image download in ovf/ova format, compatible with VMWare and Virtualbox.